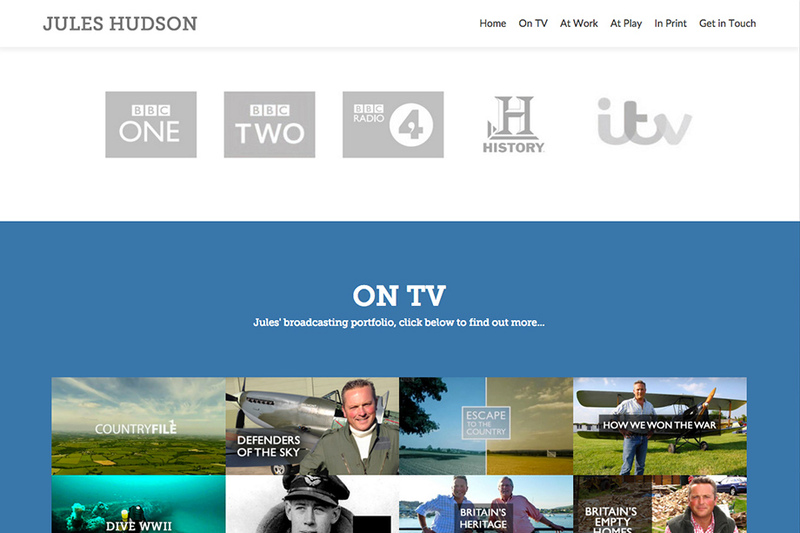 Responsive WordPress website design for Herefordshire based broadcaster, writer and military historian Jules Hudson. Magento ecommerce website for Ledbury retailers of natural woven fabrics, lighting, furniture and curtains. Branding and website for the NUJ, Equity, and Musicians' Union to help freelance members develop business skills. Green and Gorgeous required a mobile friendly website that showcased their flowers and farm shop business. London based soulful bass music collective came to us to build a custom download site to sell original music. Stained glass artist Tamsin Abbott required a minimal theme that was responsive to mobile and tablet devices. A design-led, visual ecommerce solution for Herefordshire architects, interior designers and mid-century homeware business. We know you haven’t got long, three clicks and you might be gone. Visit our portfolio to see our web design work. If you like, please get in touch, we love talking about websites. Keeping your website fit, healthy and relevant. Email marketing, SEO, Facebook advertising management and social media strategy. Through our hosting partners, we offer range of web hosting packages on lightning quick servers. Ensuring the health and security of your WordPress site with ongoing one-to-one support. The website has received very good reviews from my friends and family. A lovely job, thank you. Thank you very much for an excellent service – I really am impressed. Its all been done quickly and efficiently and I am delighted with the result. The website is just as I would want it and your clear and firm directions on getting used to working with it are much appreciated. DMD provides us with an excellent, one-stop service for our website including contemporary design and creative solutions and day-to-day marketing activities and maintenance – all conducted in an professional, efficient and friendly manner. 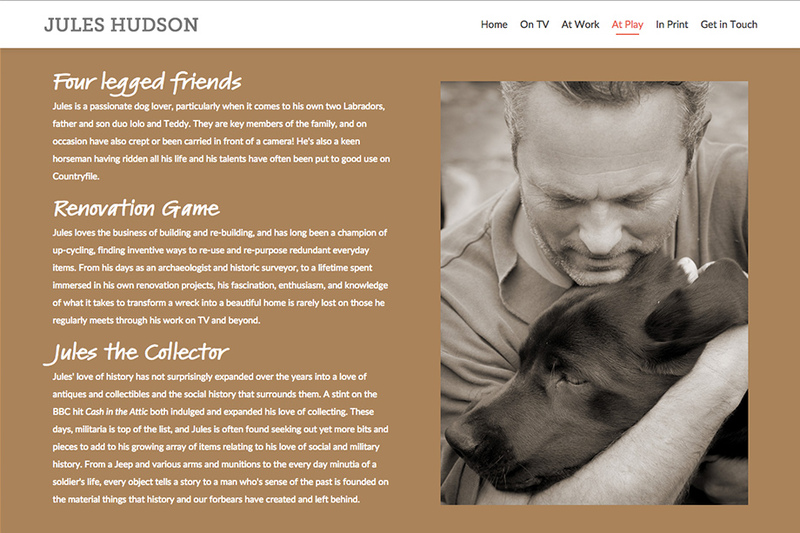 Have just had a look at the new website and wanted to say how good it is, really impressed. When we first asked DMD to come and talk to us about our first website in 2006, we found that his common sense, clear thinking and ability to put over quite complex issues in a very accessible way an ABSOLUTE GODSEND. He has been, without exception, incredibly helpful and a pleasure to work with. We can’t recommend him highly enough. The brochures are fantastic, thank you very much. The varnished Q on the front works really well, and they do look a step up from our last brochures. Thank you for all your assistance – great job done. The print quality is great, with none of the issues we have experienced in the past. I would certainly recommend. DMD is the most brilliant all-round digital marketing agency for small businesses. From setting up an online marketing infrastructure: websites, databases and intranet to creating contact strategies and digital campaigns, this agency does it all with loads of creative flair and design sense. Highly recommended for levels of service and support. Sign up to our email list for free search engine optimisation tips explaining how to get your website listed properly by Google and other search engines. © 2019 Digital Marketing and Design Hereford. All Rights Reserved. 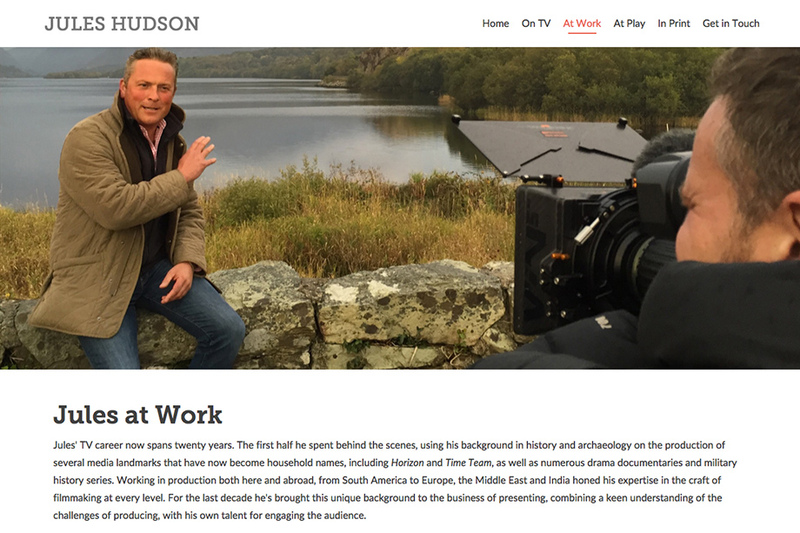 Website for Herefordshire based TV presenter and broadcaster Jules Hudson. 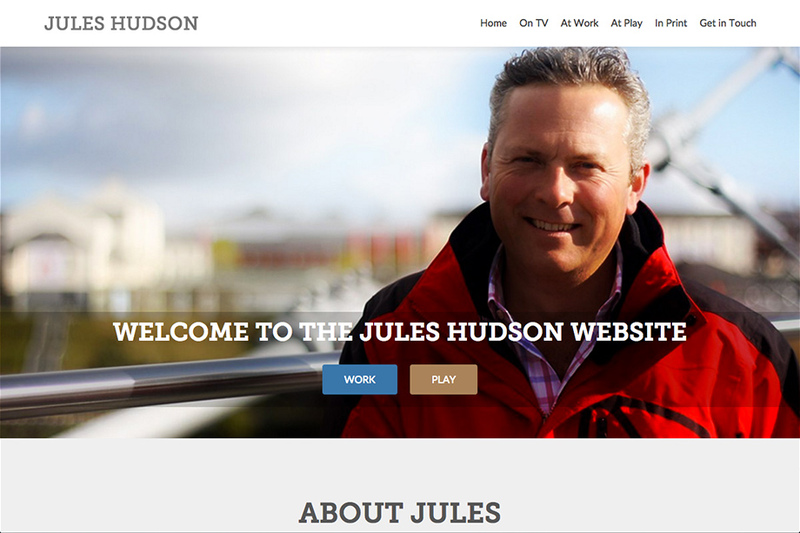 Jules required a clean, modern and responsive website to showcase his broadcasting and journalism work. We also wanted to provide an insight into his life at home in the Welsh Borders and passion for designing, upcycling and renovation.